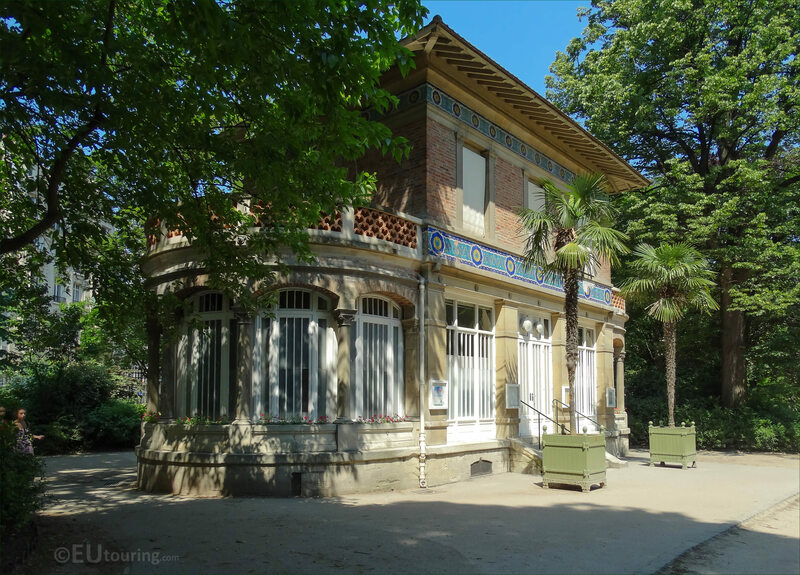 Within the Jardin du Luxembourg you will find several different buildings, and we took these high definition photos of the historical Pavillon Davioud, which was designed by Gabriel Davioud in the 1800s. 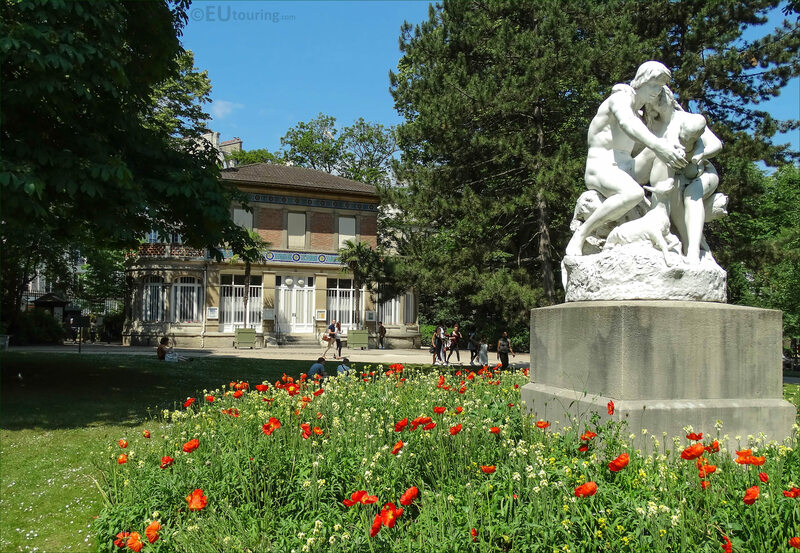 Many of the features and tourist attractions within the Luxembourg Gardens have become classified as historical monuments in their own rights, and in this first HD photo you can see the Pavillon Davioud, or in English it would the Davioud Pavilion. 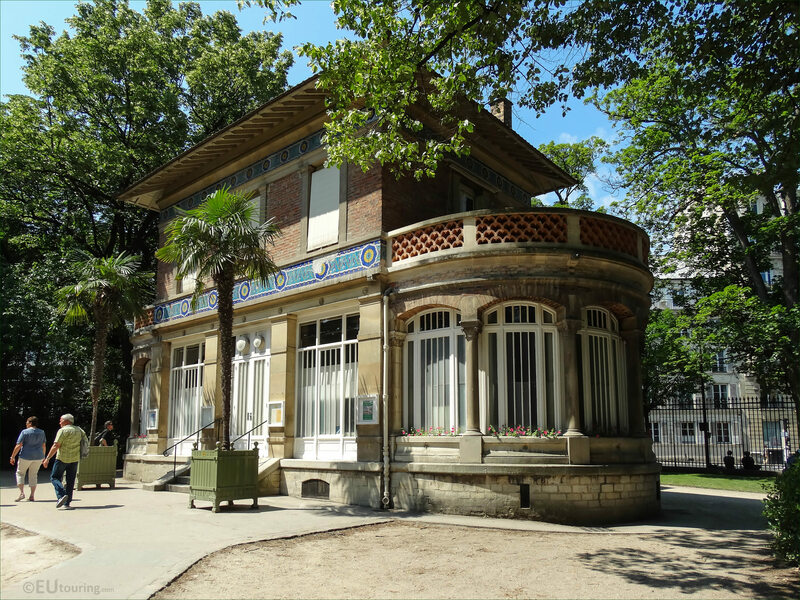 You will find that the Pavillon Davioud was designed by Gabriel Davioud hence the name, and born in Paris in 1823, he studied to become a French architect and eventually he was appointed the Inspector General of Architectural Works for the City of Paris, and Chief Architect for Gardens, Parks and Fountains, during the time when Baron Haussmann was implementing major changes to the city. 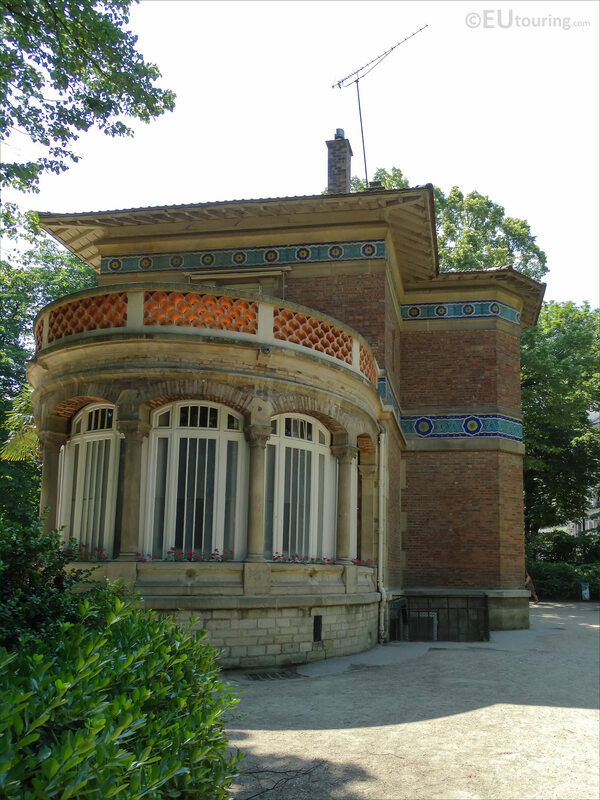 Gabriel Davioud designed many different buildings including theatres and the entrance pavilions to the Bois de Boulogne along with fountains such as the Fontaine Saint Michel, and this particular pavilion was constructed in 1867 originally as a tea salon or coffee shop within the Luxembourg gardens, yet very quickly changed its purpose. 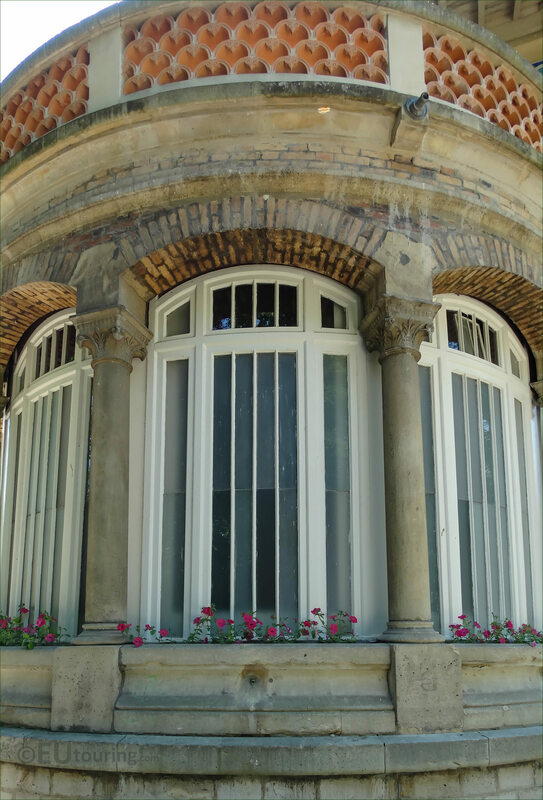 Now this next photo shows the lovely picture windows on the semi-circular end of the Pavillon Davioud, which you can no doubt imagine would have provided a great outlook as you were sipping coffee back in an elegant setting in the 1800s. 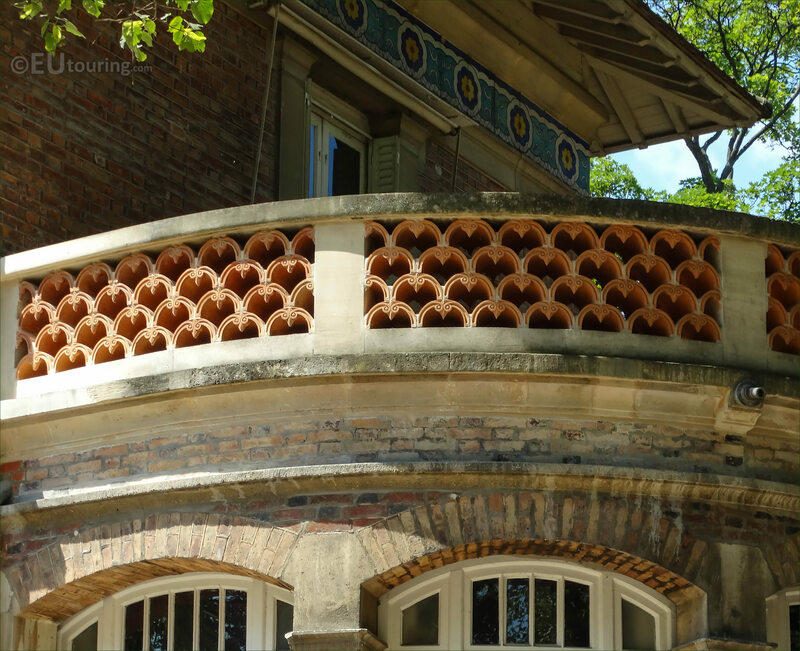 But here you can see the balcony and architectural detailing of the balustrade on the Pavillon Davioud, which was actually turned into the beekeepers house, and the Apiary school, along with the place where the honey is processed from the beehives. 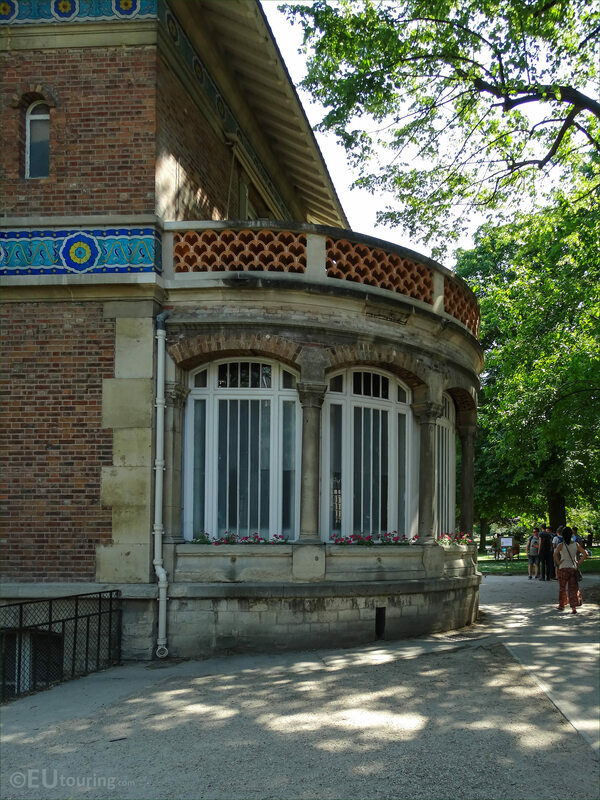 The Davioud Pavilion also holds seminars and the school of horticulture along with the annual Fete du Miel, which the Honey Festival held yearly, where people can purchase a pot of artisanal honey from the hives located within the Jardin du Luxembourg. 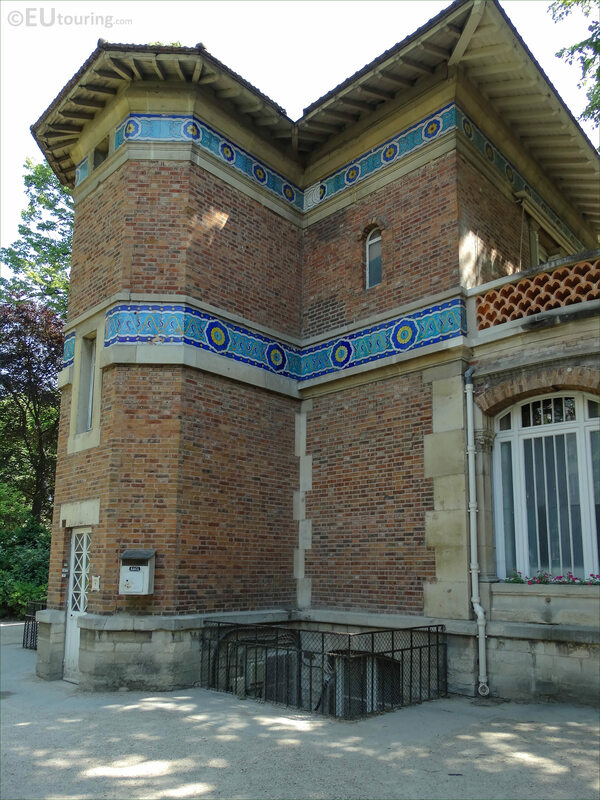 Yet in this image you can see some additional architectural designs that were incorporated into this building by Gabriel Davioud, including the straight lines contrasting with the semi-circular aspects and the bright tiles forming a mosaic band that contrast against the red brick work. However, in this last HD photo you can see the location of the Pavillon Davioud within the Jardin du Luxembourg, and looking onto the statue called Joies de la Famille, this is positioned close to the entrance on the Rue d'Assas in the south west corner of the garden in the 6th Arrondissement of Paris.